Click on PayPal Logo above to proceed with your payment. Bach, Beethoven, Schumann, three composers whose initials form the acronym of the original title to the CD,`Babesch´. 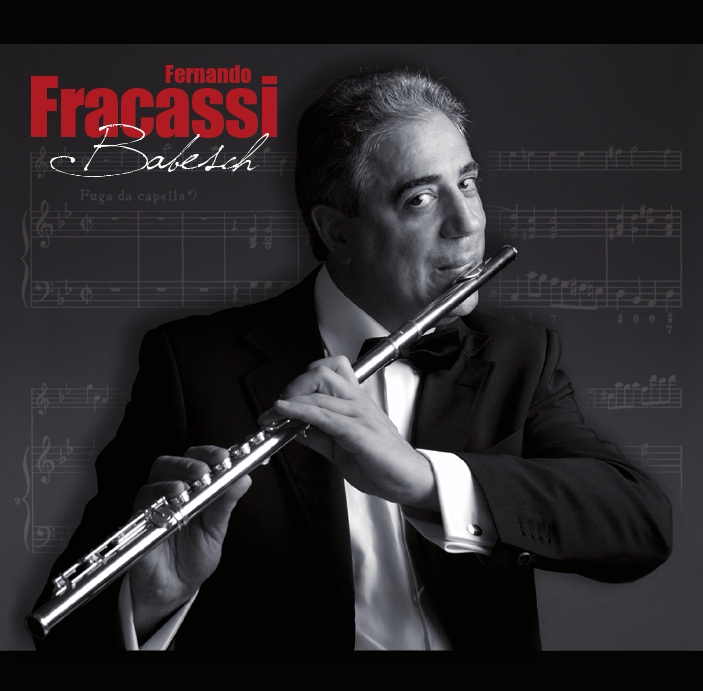 The intelligence of Fernando Fracassi can be measured in his ability to capture a journey permeating with the magnificence and poetry of the Baroque period, moving through Classicism and ending in the Nineteenth Century. The corpus of the compositions, quite robust, present a history and a genesis which differs, according to the context. It is worth dwelling on the common characteristics which the compositions offer; in this context it constructs a monument to the art, instilling classical themes of supreme beauty and grace. The flutist played with an extreme accuracy of phrasing, portraying a natural instrumental virtuosity. Furthermore, the emission and expressiveness of sound, always without distortion, which are the protagonists of precious and vibrant executions, are successfully achieved. What also emerges here is the vivid freshness with which the duo reverberates the ideal tension. In this album, you can hear that the executions intended to emulate a living organism which relates itself to the solicitation and dialogue displayed during the ductile and expressive, interpretative process. The particulars of the individual movements and, within these, of the singular parts and thematic groups with their variations and elaborations, mirror itself in the course of an infallible sense of formal structures and dramatic directives of the overall project. We cannot deny the strong and raw emotional charge of this production. A superb reading of the compositions is given through this recording: amplitude of respiration and intellectual quality of musical thought are perfectly proportioned to the magnitude and the ambition of the work.